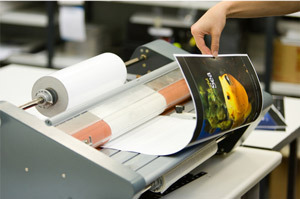 Print your cover sheet with laser printer. Cut the print to proper size and make the case with a Fastbind case maker. 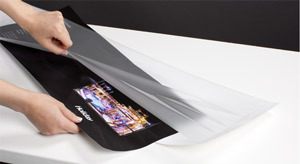 Fastbind Lamifree doesn't require lamination. 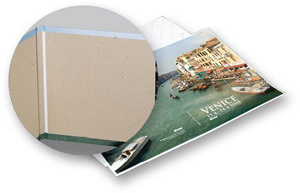 For all other cover prints lamination is recommended when the prints are used as a book cover. Matt and gloss sheets and rolls. For double-sided lamination.